Microgaming brings you a new offering the month of April, the Mega Money Multiplier slot which can be played at any of good online casino with Microgaming slots. Mega Money Multiplier is bringing 3 reel slots back in fashion, with a re-spin feature that guarantees high-adrenaline wins. Wild and scatter symbols are featured, re-spins and amazing multipliers. This slot brings both a retro feel and the energetic action of today’s contemporary games at the tip of your fingers. A classic slot doesn’t necessarily mean that it have to be old fashioned. 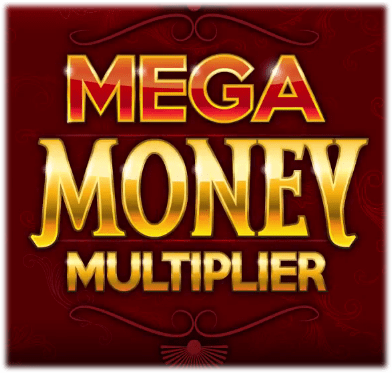 Mega Money Multiplier is a good example of classic slot with a twist, in other words it has a slick interface, sharp graphics and sounds that make you feel like you’re playing on a real one-armed bandit. When you land one, two or three multipliers on a payline, you win a prize. The more Multipliers you land, and the higher the Multiplier, and the higher the value of the multiplier will be. Wild Multipliers are Wild symbols and substitute for the Bar and Seven symbols. You get 2x multiplier wilds on all reels, and special 3x, 4x and 5x multipliers on reel no. 2. Land two or more Multipliers during the base game at the centre reel, and you will trigger a re-spin. During the re-spin feature, the centre reel will be locked, only the first and third reels will be re-spun. The exciting thing about the re-spin feature is that the winnings are doubled. All the bets and lines played are the same as the game that initiated the re-spin feature and re-spins cannot be re-triggered. It also gives wins often, meaning you don’t have to wait for a lot of empty spins before you get a decent win, but on the other hand the wins aren’t always much more than about 500 times your single bet. Play this new and exciting game, as the multipliers fill the centre reel, the winnings can multiply up to 10x your prize! The flashy graphics, high-energy action and multiplied wins will keep you playing for hours on end!